Libertarian presidential candidate Gary Johnson stunned Morning Joe hosts when he was asked a question about Aleppo, and didn’t know what it was. “What is Aleppo?”, Johnson asked. “Aleppo is in Syria. It’s the epicenter of the refugee crisis,” Mike Barnicle explained. Weld, another former Massachusetts governor, is Johnson’s running mate. 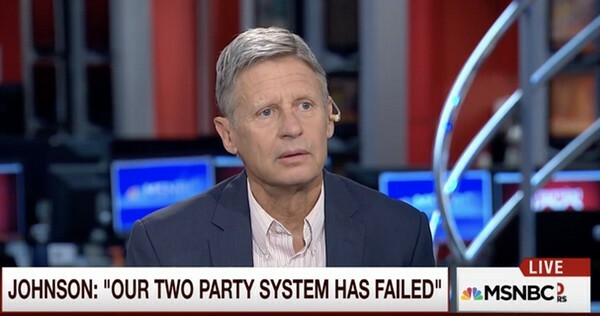 To earn an invitation to the first debate, Johnson, the former New Mexico governor, needs to score more than 15 percent on an average of five national polls the debate commission has picked as its criteria. The most recent surveys from the polls pegged Johnson’s average at 8.8 percent, down from 9.2 percent a week ago.